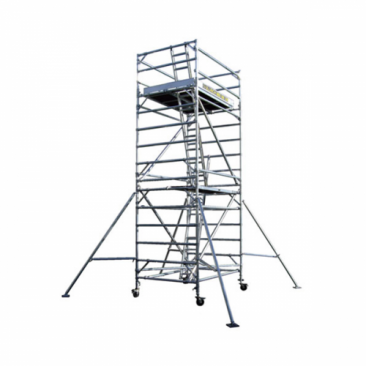 Our aluminium scaffolding system provides a strong, highly flexible fixed or moveable platform that meets all applicable occupational health and safety standards. 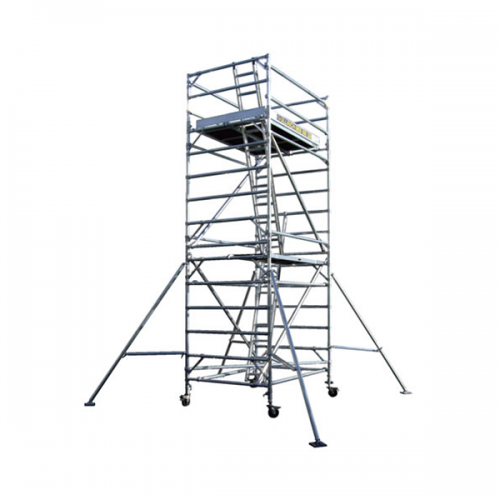 The system is easy to erect and requires no tools to assemble or dismantle. Choose from our large range of off-the-shelf towers or have our experienced qualified professionals design a solution specific to your needs. Light and strong Aluminium tube with weldless joints for extra strength. Safe work platforms include kick boards and compulsory fall protection. Unique easy-to-use double action locking hooks for additional safety and strength. Safe access platforms with access via secured internal ladder. Safe-lock legs with adjustment up to 400mm, to ensure safe easy leveling. Lockable 200mm dia. easy-roll castors. At Perfect Hire our qualified team of scaffolders and access experts ensure your solutions are delivered in the fastest and safest way possible.